Just kidding, that’s the OSU Board of Trustees. Full 7 page evaluation here. 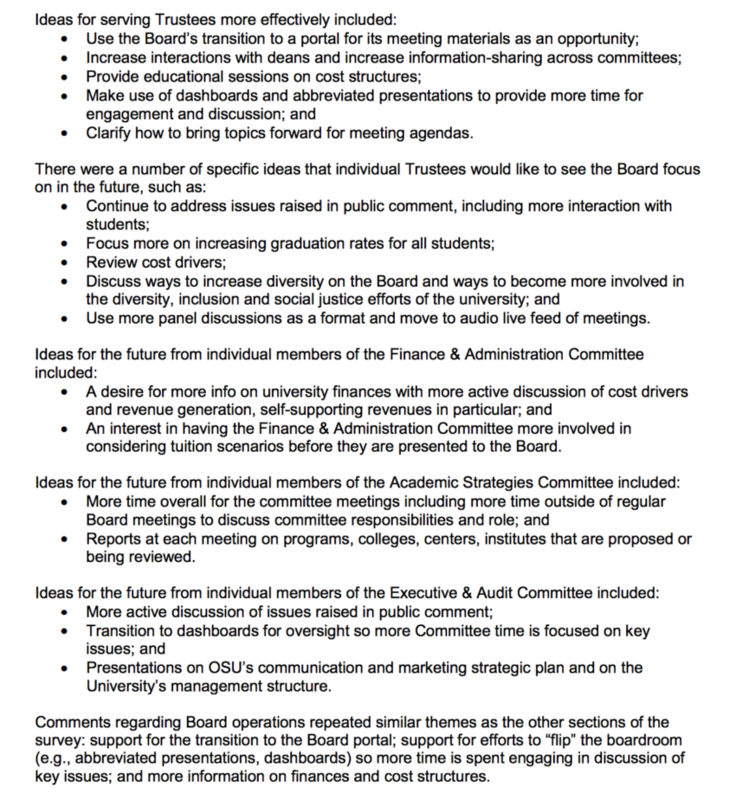 I have no idea if the UO Board has done anything similar. In their defense, UC bigwigs claim Oregon is much worse. two facts about the UO. UO admits every qualified resident applicant, and charges low income students the lowest net tuition of any other public university in the state. Do out of staters need to be as “qualified” ? To what the duck. Yes and no. Dogs point below is relevant. the answer is yes for domestic non resident students, but no for many international students, who are often admitted woefully ill prepared to do college work in English. the burden has fallen on faculty and the students themselves, with those responsible for the surge of international students having given little thought to the consequences. The situation at the UO over the last 3-4 years regarding international students, I think, is much more serious than any “out of state” students we have. What’s the “situation” ? What is the SAT verbal of international versus in-state? 2) more importantly – in my experience, unable at all to “think outside the box” or demonstrate any originality of thought. Yes I know that domestic students have similar problems. Do they even need to take the SAT or do they take the TOEFL instead? And do they take the SAT or do they pay someone to take it for them? I think, but do not know, that they only need to take the TOEFL. There was some discussion about raising the minimum TOEFL score, but then again, we need the tuition money. If a well off California family has a kid that can’t get in to UCLA, could they move to Oregon and then get in? What about moving from Oregon to California if you couldn’t get in to the UO in-state?